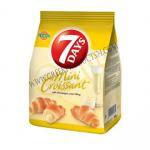 Mini Croisant 7Days With Spumante Flavour Filling 72gr. Croissant Molto with Vanilla 80gr. Croissant Molto with Cherry 100gr. 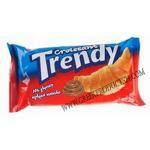 Croisant Trendy With Cocoa Cream 70gr. Croisant 7Days With Cocoa Filling 80gr.